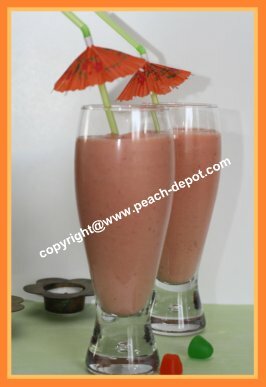 Here is the Best Recipe for a Smoothie with Peaches, Strawberries and Pineapple using fresh OR frozen peaches and fresh OR frozen strawberries. 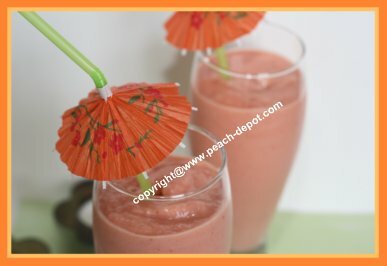 This is the Best Peach Smoothie Recipe I have ever tasted! ... my favourite for sure! This fruit smoothie includes the scrumptious combination of sweet strawberries and fresh pineapple. 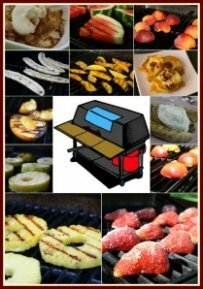 Delectable in taste AND healthy too! My daughter made this fruit smoothie for our lunch snack today, and it tastes like "More"! Note - This recipe makes a lot of lip smacking smoothie ... a total of about 5 cups. If you are making this awesome smoothie with peaches for one or two people, simply adjust the ingredients accordingly. Make a Smoothie with Peaches, Strawberries and Pineapple! 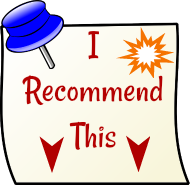 In a blender, combine the fruit and the liquids (and whey powder if using) and blend for 20 second interval, until smooth. Not only do peaches taste amazing, but they are very healthy too! Peaches contain many important nutrients and vitamins, for example, Vitamin C, Vitamin A, Beta Carotene, Potassium, Fluoride and Iron. And, peaches are low in calories too! One large peach has only about 68 calories. Including peaches in your diet is a healthy choice!